Robert Plant, lead vocalist for one of the most influential rock bands in music history, Led Zeppelin, has a solo career spanning 40 years, is a member of the Rock and Roll Hall of Fame and is widely considered one of the greatest vocalists of all time. Robert wants you to make the music video for 'Rainbow', the lead single from his new album, lullaby and... The Ceaseless Roar. The creative direction is being left completely open, so listen to the song, be inspired, and create something spectacular! This is an amazing opportunity for any filmmaker to make a music video for a true legend. Deadline for submissions is September 8, 2014, 23:59 GMT time. The selected video will receive $3,000 and have their video used as the music video for Rainbow. The official selection and finalist group will be chosen by Robert Plant and Genero. On his Nonesuch debut, lullaby and … The Ceaseless Roar, singer/songwriter Robert Plant bookends an album of brilliantly realized original material with two versions of the haunting bluegrass tune “Little Maggie,” popularized in the mid-’40s by the Stanley Brothers. In the Stanley Brothers’ hands, the song is mournful yet stoic as the narrator vows to leave for some “far distant land” rather than see his beloved with another man. While traces of its bluegrass roots clearly remain, Plant’s “Little Maggie” veers off into intriguingly uncharted territory, a foretaste of the album to come, with throbbing bass redolent of the “Bristol sound” made famous by Massive Attack and a keening fiddle solo that was actually created by a one-stringed Gambian instrument called the ritti. At the album’s close, the song is reprised in an even more striking, dub-like form, renamed “Arbaden (Maggie’s Babby).” The lead vocal is initially handled by Gambian ritti virtuoso Juldeh Camara, in his native Fulani tongue, before Plant steps back up to the mic, to urgently trade vocal lines with Camera, backed by pounding drums and dueling guitars. 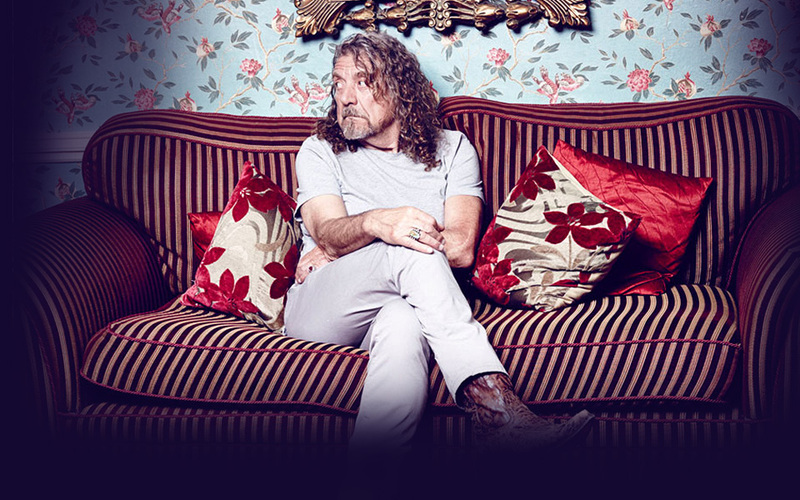 On his Nonesuch debut, lullaby and … The Ceaseless Roar, singer/songwriter Robert Plant bookends an album of brilliantly realized original material with two versions of the haunting bluegrass tune “Little Maggie,” popularized in the mid-’40s by the Stanley Brothers. In the Stanley Brothers’ hands, the song is mournful yet stoic as the narrator vows to leave for some “far distant land” rather than see his beloved with another man. While traces of its bluegrass roots clearly remain, Plant’s “Little Maggie” veers off into intriguingly uncharted territory, a foretaste of the album to come, with throbbing bass redolent of the “Bristol sound” made famous by Massive Attack and a keening fiddle solo that was actually created by a one-stringed Gambian instrument called the ritti. At the album’s close, the song is reprised in an even more striking, dub-like form, renamed “Arbaden (Maggie’s Babby).” The lead vocal is initially handled by Gambian ritti virtuoso Juldeh Camara, in his native Fulani tongue, before Plant steps back up to the mic, to urgently trade vocal lines with Camera, backed by pounding drums and duelling guitars. In his nearly 50-year career, former Led Zeppelin vocalist and Rock and Roll Hall of Fame member Plant has indeed gone to far distant lands, not as forlorn lover but as intrepid musical explorer. To write and produce lullaby and … The Ceaseless Roar, though, he returned to his native England, enriched by all he has seen, heard, and investigated. For the last few years, Plant has lived and recorded in America, working with musicians in Nashville, residing for a spell in Austin, and making time to drive along the byways of Mississippi, fueled by the sound of the delta blues that has inspired him since he was teenager (a car journey recollected in the new “Turn It Up”). He had previously traversed North and West Africa, following the trail of the blues back to the desert, where he famously joined nomadic Tuareg musicians and others at the renowned Festival of the Desert in Essakene, Mali. But now his creative wanderings have led him back to his native England and a rediscovery—and a reappraisal—of himself as an artist and songwriter. On lullaby and … The Ceaseless Roar, Plant—whom Rolling Stone readers had already voted as the top rock vocalist on all time in a 2011 poll—essays what are among the finest vocal performances of his solo career, balancing power and pathos—intimate and emotional at times (the keyboard-and-voice ballad “A Stolen Kiss,” recorded starkly in a chapel), atmospheric and incantatory at others (the dramatically unfolding “Embrace Another Fall,” a trip across the Welsh border). But the challenge for him, he reveals was not the singing but the songs themselves: “After I came back to England, I wondered, could I actually write? Did I have anything left? Not knowing and not being really convinced I had anything of my own because I’d been singing other people’s songs for a long time. “In the beginnings of my efforts to write songs, when I first met Jimmy Page and John Paul Jones,” he continues, “I was just trying to join in with the times and what was going on and use what I’d learned from Dion and Howlin’ Wolf. Now I have a whole index, an absolute rainbow, of influences.” As for subject matter, he decided, “I need to talk about what’s going on in my life, in my lap, speaking from my experience; it’s far more honest and much more appropriate. Lead single “Rainbow” feels like a long-lost rock-and-roll tune, propelled by a big, reverberating Bo Diddley-by-way-of-West Africa beat. At its bridge, Plant interpolates a couplet from a poem by Victorian writer-designer William Morris, considered the progenitor of the fantasy fiction genre thanks to his revival of medieval texts and translation of Icelandic folk tales and undoubtedly a longtime Plant inspiration. On “Embrace Another Fall,” Plant invited the esteemed Welsh-language folk singer Julie Murphy, with whom he had previously sung on a track for Afro Celt System, to perform a section of a centuries-old Welsh song, “Marwnad yr Ehedydd,” another touchstone for Plant, given his fascination with Welsh mythology and music. His band’s name couldn’t be more apt, given their ability to move rock and folk melodies into exotic new places with a seeming improvisatory ease. A glimpse at their individual resumes underscores Plant’s own adventurousness in his choice of collaborators. Guitarist Justin Adams had been instrumental in the world music crossover discs of such groundbreaking artists as Jah Wobble and Natasha Atlas, and he produced the world-renowned Tuareg group Tinariwen. Both keyboardist-programmer John Baggot and bassist Billy Fuller had been key players in fashioning the deep, dub-influenced Bristol Sound alongside Massive Attack and Portishead (and Fuller has been collaborating with Portishead’s Geoff Barrow in a trio called Beak). Young Gambian multi-instrumentalist Camara, who learned his craft from his venerable griot father, regularly collaborates with Adams in a hybrid project called Juju. Drummer Dave Smith is part of the London-based Loop Collective and specializes in jazz and electronic music. Finally, guitarist Liam “Skin” Tyson hails from the chart-topping Brit-pop band Cast. So, too, is lullaby and … The Ceaseless Roar: a natural movement, another fascinating progression, for Plant himself. More than any artist of his generation, Plant, an indisputable rock legend, continues to surprise and challenge his audience—and himself—with music that is smart, exciting, and completely of the moment. His decades of experience, his incredible legacy as the front man of Led Zeppelin and as a solo artist, only serve to keep pushing him forward. He’s steeped in history but his ears are attuned to the entire world around him, listening for the future. 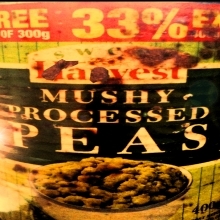 Congratulations to Mushy Peas Productions!